Get More out of Your Interactive Whiteboard or Tablet PC! Want to draw a mind map by hand but don't want to re-create it in a software program? Do you want to get more out of your Interactive Whiteboard or Tablet PC? Now you can with MindView enhanced Pen Mode. Use standard gestures and your input device to start writing or drawing on the free space available in the view. MindView will interpret these as branch text or main branches and sub-branches, while the Ink Tools allow you to add interactive content to your branches. MindView is able to detect and support interactive whiteboards. All the operations are supported. If you are using a SMART Board, MindView automatically switches to Pen Mode when you pick up a pen from the pen tray. In addition, MindView automatically sets its pen color and width to the color and width of the pen you picked up. Picking up the SMART Board eraser automatically selects the Erase Tool in MindView. When no pen has been picked up, a default black color is used. 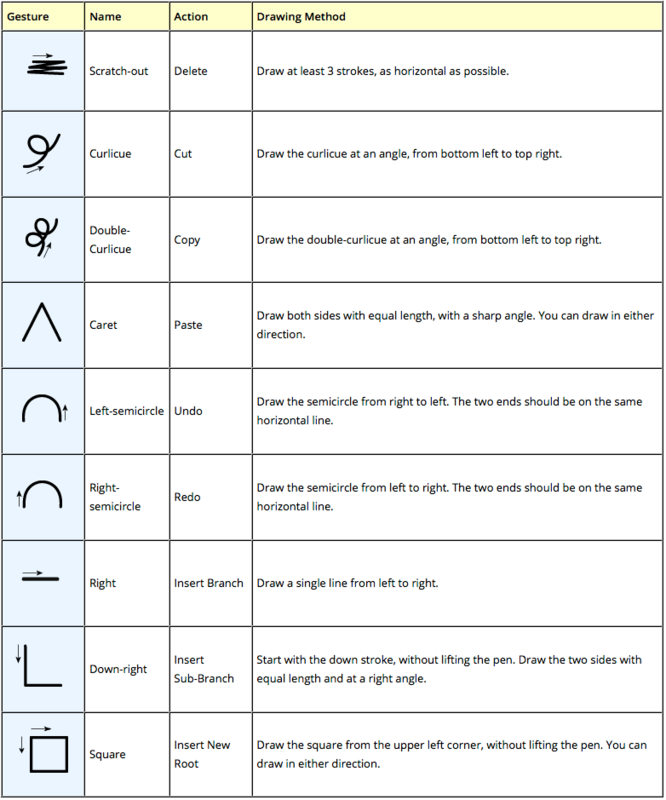 The pen can also be used to navigate the MindView ribbon and menus in the same way as when using a mouse. 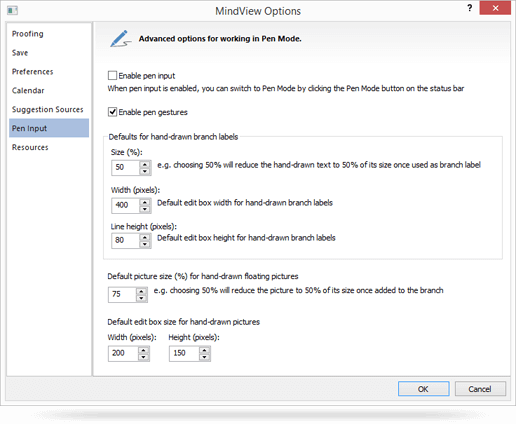 MindView supports pen input as well as standard keyboard/mouse input, letting you insert digital ink data such as handwritten text and hand-drawn pictures on your branches. Although MindView's pen input features let you treat your computer mouse as a pen, they are designed for use with dedicated pen input devices such as tablet PC's, external digitizers, touch screens and interactive whiteboards. Once attached to a branch, the ink data is treated just as any other branch element. You can use pen input in the standard Mind Map views, namely Mind Map, Top Down and Left/Right. To take advantage of MindView's enhanced Whiteboard and Tablet PC integration, Enable Pen Input through the MindView options by checking "Enable Pen Input". When pen input is enabled, a Pen Mode button appears in the bottom right corner of the MindView status bar, allowing you to set Pen Mode on and off. Use standard gestures and your input device to start writing or drawing on the free space available in the view. MindView will interpret these as main branches and sub-branches. As a unique storyboarding program, MindView enables you to instantly convert your Mind Maps to PowerPoint or Mediator presentations or websites. All notes and file attachments will be included and remain intact. With several easy to use professional templates, your projects will get noticed! As well as using your pen to input text into MindView, you can also use the Windows built-in Tablet PC Input Panel. On Microsoft Vista and Windows 7, this panel can also be used to edit existing text.